Summertime Hairstyles: Coloured Braids are In, Go Bold with It! Braids are timeless! They never go out of vogue or season. We ladies rock it from childhood through adulthood and are constantly looking for ways to re-brand it; either with the thickness, length, style or colour. Coloured braids is one style option I noticed some are very careful about. A lot of girls rather stick to the regular colour 1, 2, 30, or 31 just to play it safe and avoid unwarranted stares and mumbles. Are you really a ‘Style Raven‘ or a fashion pacesetter? If you are, then bold colours on braids shouldn’t be a ‘stay clear’ zone. And if you’re looking for a good reason, summertime/mid year is the perfect season to take a bold plunge when it comes to hair styles. 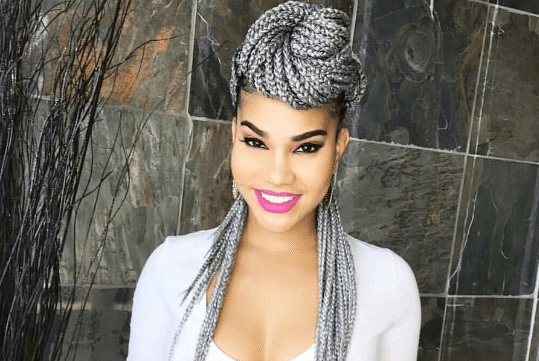 Coloured braids are stylish, fashion-forward and have the wow factor that re-defines your looks and makes it clear that you’re bold and confident. One could definitely pass on makeup with bold coloured braids as the colours keep your face bright and defined. You’ll also gain all the stares and admiration non-Style Ravens can only dream about. I’ve curated some of the most beautiful bold braids ideas you never thought of to give your look an exotic touch and rebrand your image, if that’s also your aim. These photos remain the property of their respective owners/person featured. To be tagged, please identify your photo and provide your info. Related Topics:braids, braids style, colored braids, coloured braids, Hair Style, hair styling, Style Rave!